TOP TEN TIPS TO MAKE YOUR PROPERTY STAND OUT ON A VIEWING. There can be a tendancy to be quick to find excuses as to why your property isn't being snapped up by a buyer as quickly as you would like - The market is slow, the agent isn't being pro-active enough, the area isn't as popular as it used to be. We thought we would highlight one or two - or in this case, ten - useful tips that are simple but effective ways for a seller to make the most of showcasing their properties to potential buyers. MARKET PRICE AGGRESSIVELY TO GET THE BEST PRICE: Listen to your agent! If you are being advised correctly, then it shouldn’t matter what time of year you are trying to sell. If your agent is working hard for you then there should be no ‘quiet periods’ in the housing market. Make sure your agent is marketing your property on all the online outlets as well as their own social media outlets. DE-CLUTTER: To help to ensure you’re in your new home as soon as possible, it is wise to have a good de-clutter, before you start having viewings. Clear out any items you’re not proposing to take with you when you move. This freeing up more space to show case your property, and saves you times when you’re packing up to move. Remove anything hanging on or placed behind doors (furniture included). If a door can’t be opened fully, it gives the illusion that the room is smaller! SHOW OFF THE PARKING ASSETS: People don’t want to spend time looking for someone to park in an unfamiliar area, especially if it’s in the dark. If there is limited parking and there is a driveway, park around the corner and let the purchaser park in the driveway. REMOVE ANY RUBBISH AND TIDY UP OUTSIDE: The outside of your home is the first thing people will see. Clear. Neat. Tidy. These are the best first impressions of your property you can offer. Clear out any junk from the front or back garden. Make sure the grass is cut and flower beds are tidy. If it’s winter time, clear any dying shrubs and flowers could kill a potential sale! BLANK CANVAS: If you are planning to ‘refresh’ the property with a coat of paint, before you market it, choose more neutral colours that allow buyers to see how they can make their own mark on the property. LET THERE BE LIGHT! : Before viewings, make sure curtains are open if it is during the day, or lights are on at night time. If a buyer’s first impression is that the property is dark then within 20 seconds the rest of the viewing is often pointless, as this is the lasting impression they have. It may seem a tiny detail, but make sure all the lights around the house work! Nothing puts off a potential buyer more than seeing ‘little things’ that already need fixing, before they’ve even put in an offer! DE-FUME! : If you are a smoker, consider smoking outside for the period that you are marketing, the smell can put people off. ANIMAL FREE ZONE: We may be a nation of animal lovers, but pets aren’t included with the sale and often distract buyers from focussing on the house. You want your buyers looking at the property and thinking about how they could live there rather than thinking about how they get the smells of dog out of the carpet or the sound of a meowing cat. LESS IS MORE: Try and keep the number of people that are at home to a minimum when viewings take place. Where possible try and arrange viewings during the week and within school hours. Having too many people in the house can make a property seem smaller! GO OUT OF THE HOUSE! : Let the agent conduct the viewing. The buyer is buying the property not you! Sellers often add very little to the viewing and indeed can hinder honest feedback from buyers not wishing to offend the person they have previously met. NO TWO LANDLORDS ARE EVER THE SAME! I recently went to a local Landlord event in Edgware, where I met and spoke with many of the people who attended about what landlords expected from their Estate Agents. The responses I heard where not exactly surprising to me, as an agent who has been established in Edgware for the past 15 years. The Landlords I spoke to said they often felt that whilst they were courted and given special attention when the agent was trying to win their business, once they’d signed on the dotted line, this attention vanished, along with the level of customers service provided. 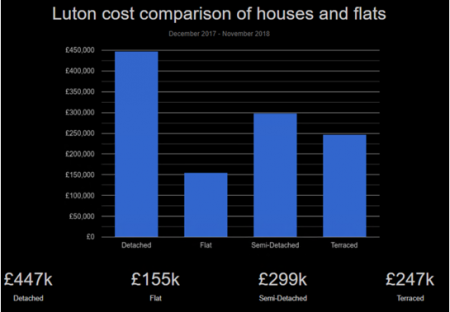 These landlords all dealt with a range of different agents in the Edgware area, some more established then others, but it seems they all followed a similar pattern. These agents appeared to concentrate so hard on trying to win new business, that as soon as they have won a new landlord over and rented out their property, they pretty much forget about them and start the chase all over again. Wouldn't it be great if they took the time to at least got to know your name, your preferences regarding your property management style, and what makes you feel comfortable as a landlord? With almost 200 properties on our books and over 80 landlords, at Benjamin Stevens, we are always in contact with a vast number of those people about one thing or another. Knowing your clients and their preferences, not only adds a personal touch, but can in many cases, removes a lot of the strain and can buffer the requests we get from tenants. For example, where one landlord might be quite liberal and easy going towards the actions of his tenants, another may well have stricter standards – for example, some will allow tenants to decorate to their own style, fix furniture to walls or undertake other improvements such as fitting extra radiators yet another landlord might not allow any of this, with the property having to stay magnolia and with a limited number of picture hooks put into the walls. So, if we get a request for a new fridge for one of ‘John’s’ properties we already know his answer and how to handle it, whereas for ‘Jane’, her answer and approach will be different and on any given day. When Landlords call us, we immediately recognise their names’, where their properties are, what their tenants are like, and the on-going issues and relationships both have with each other. All of this means we can tailor our approach towards the very specific nature of the matter at hand and the people involved. We can do this because all of our staff are located in one location, and we are all constantly over-hearing and getting involved with what is going on within all of the other roles within the office - there is no outsourcing to a remote call centre, no subcontracting of responsibilities, and you can always reach the same person who has been dealing with an on-going issue at any time. We don’t offer a ‘one size fits all’ approach because, clearly it doesn’t! We are all different. Properties are of varying age, condition and specification, and sure as anything, we get to see the whole spectrum of human nature demonstrated by tenants (which is in itself a whole blog article for the future). If you were to call your existing agent today, out of the blue, would they have a good enough relationship with you that they could already pre-empt your requests and the way you would like such an outcome to be achieved? Would they even remember your name? You see, I realised very soon after I started out in this industry, Estate Agents are not just about property, but about customer service. Who would you trust to look after your best interests – someone in it purely for the money, or someone prepared to dedicate the time and effort to building a relationship with you such that consists of trust and confidence, and where ultimately, a smooth transaction will naturally follow? You know my name by now, I’m Steven Wayne. Myself and my team are always giving advice to our existing and new landlords in Edgware on what to buy (or not as the case may be). Having this level of detailed information at our fingertips allows us to spot trends in the local market which then enables us to give the very best advice to our clients. We don't charge for that advice as there will be plenty of opportunity to earn our income by finding the best tenants for the landlords in the years to come, so if you want to discuss your options then pop along to our office we are based at 194 Station Road Edgware Middlesex HA8 7AT– the kettle is always on! LUTON IS THE PLACE TO BE! Luton’s newest Estate Agency is up and running and charging into the future! A smart move, given the town has just been awarded the ‘Best Commuter Hotspot for 2018’! Benjamin Stevens Estate Agents opened in Luton in November 2018. It is a ‘Hub’ which is ultimately different to your traditional High Street shop-front Estate Agent. This is the company’s second Hub, which is based in the centre of Luton above The Mall. They have experienced local Negotiators heading up the team and are expanding week by week. The sky is the limit for 2019! 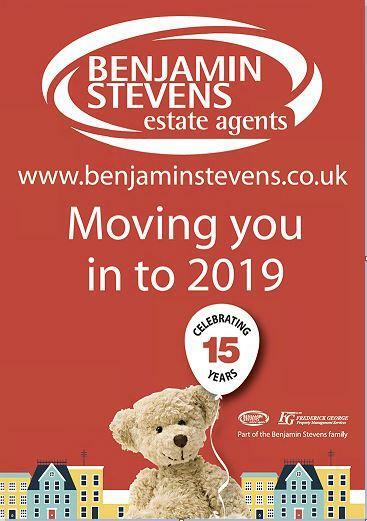 Benjamin Stevens, which was established 15 years ago, already has successful branches in Bushey, Hertfordshire and Edgware, North West London, so you may be wondering why Luton?? That’s easy to answer! 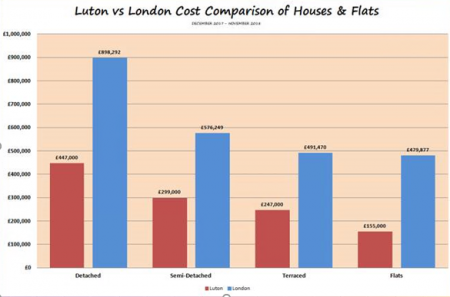 Luton average house price is 60% cheaper than London, and with only a 24 minute direct train journey (running 24 hours a day) into the country’s capital, and outstanding road connections, it’s not hard to see why this vibrant town is attracting so many commuters, as well as first time buyers. Property is also selling fast with the average priced property being on the market for only 144 days (on average). 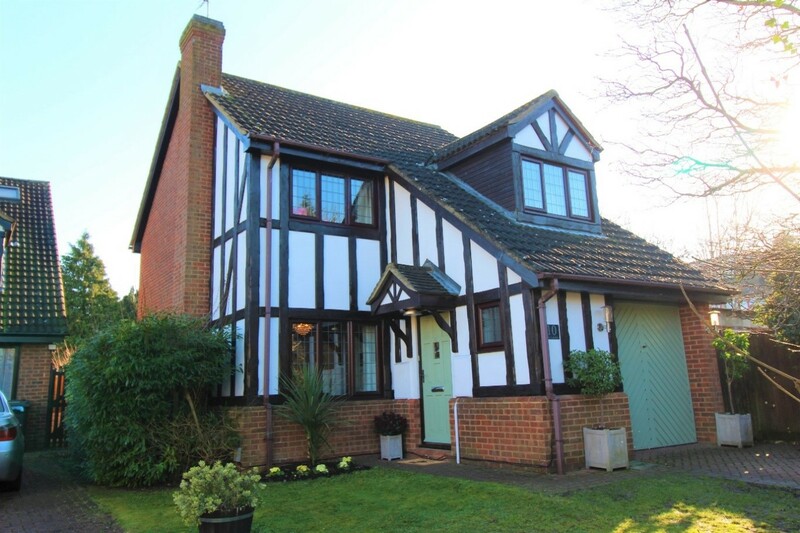 Houses tends to date from the 1920-30s and include many examples of spacious family homes. Over the next 20 years there are plans to regenerate the town centre as part of a massive £1.5 billion investment. Benjamin Steven’s ethos is to sell and promote the areas that they cover. They work closely with local businesses, charities, schools and other organisations, with the belief that by showcasing all that the local community have to offer, it will in turn draw new people into the area, as well as prevent people moving away. Luton has a bustling city centre with a huge varied shopping mall filled with all the big named favourites, but unusually, and refreshingly, a host of local independent businesses. Luton Airport was recently voted best of the six serving the South-East, and is undergoing a £110m expansion project, to increase capacity. There are array of restaurants, pubs and bars to keep the town alive at night time as well as a Bedfordshire University campus which is a big pull for the buy-to-let market. Schools in Luton are another major highlight. Among the best is Hillborough Junior School, which received the top rating from Ofsted. Benjamin Stevens priorities are Customer Service and Professionalism. They aim to ensure they are experts in all of the areas they cover and can deliver their clients a personal service, that has partly been lost over the years. The reason the company have made the decision not be based on the High street is that by having an office base, they can cover as much as ten mile radius, unlike High Street branches which may only cover 3 or 4 miles. Each negotiator is responsible for covering a small part of that radius. They know their sub-areas inside and out, and can spend their time doing what they do best, which is finding properties to buy, sell, rent or lease. It also gives staff freedom to not always have to be completely office based and also become their own boss. It’s a much more customer-focused, service-oriented, forward-looking operation. The team are incredibly keen to be galvanised and motivated into presenting something new to the public. The Benjamin Stevens Luton team have been inundated with people looking for free evaluations for their property, as well as people looking to buy, rent or lease a property. Crucially they have had a large response of people wanting to join the Benjamin Stevens team. We offer free training and can give flexibility and great opportunities for those wanting to have a successful career in the property industry. SOCIAL MEDIA MARKETING WINS BIG DEAL FOR NEW BENJAMIN STEVENS HUB! Benjamin Stevens launched its expansion in September 2018 with its first Hub covering the Wembley and Harrow area. 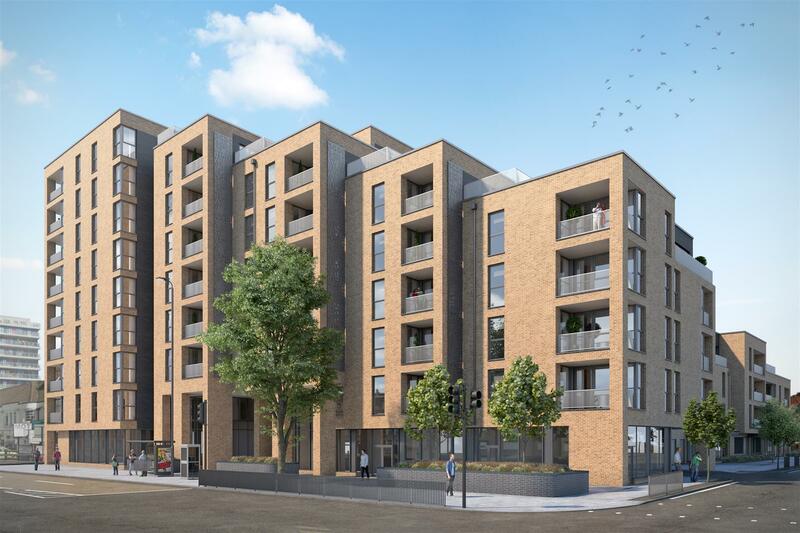 Benjamin Stevens Estate Agency is proud to announce we have won the contract to act as the sole agency for Metropolitan Thames Valley for all 5 phases of their latest development ‘The Rise’ in Alperton, North West London. What’s remarkable is how the contract was won. It was not via the usual channels of contacting the developers by pho email or requesting a face to face meeting, instead, the developers contacted US having seen our social media marketing campaign! They specifically asked to speak to our ‘Wembley Hub’ team after seeing our Facebook Group. In September 2018 we launched our expansion with our first Hub covering the Wembley and Harrow area. Covering a 5 mile radius, in just a few short weeks of operation, the Sales Negotiators secured several listings and had viewings. Over recent months our Hub team have paid special focus and drummed up a lot of attention to our brand in the Wembley area, through the use of social media. 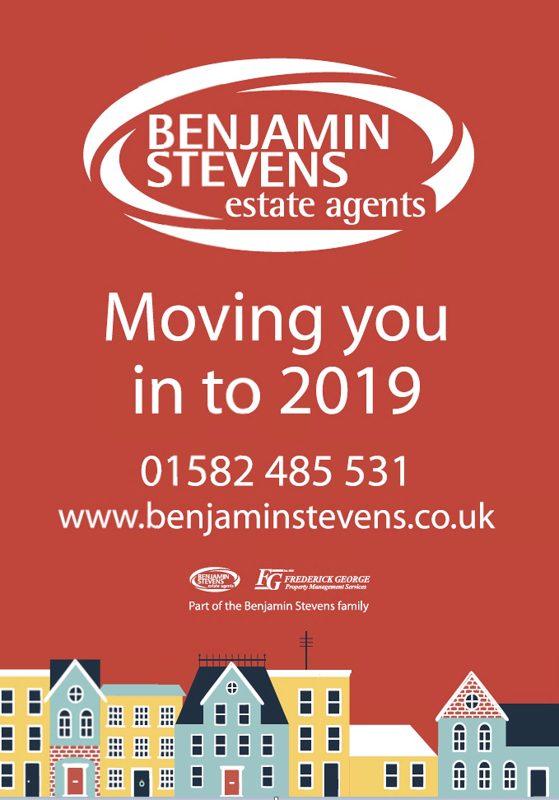 We've created a high level of content publicising the local area, offering advice, and raising the profile of the Benjamin Stevens brand in this area. Off the back of this marketing campaign, Metropolitan Thames Valley got in contact and asked us to present why they would be the right company to take on the sole agency agreement. Benjamin Stevens won the contract to be the sole agent for all five phases of the build which includes 51 private sale flats, ranging from 1 beds, 2 beds and duplex 3 bedroom flats available. All of the 2 and 3 bedroom apartments come with an allocated parking bay. Phase 1 and 2 are on the market now. The whole project is due to be completed by April 2019. Benjamin Stevens has a full marketing suite available to showcase the homes and are available for viewings every day. Along side this there will be a full marketing campaign across all social media outlets to publicise the properties and all that the area has to offer. Alperton is a prime location being a stone’s throw away from Ealing road which provides a range of local amenities. 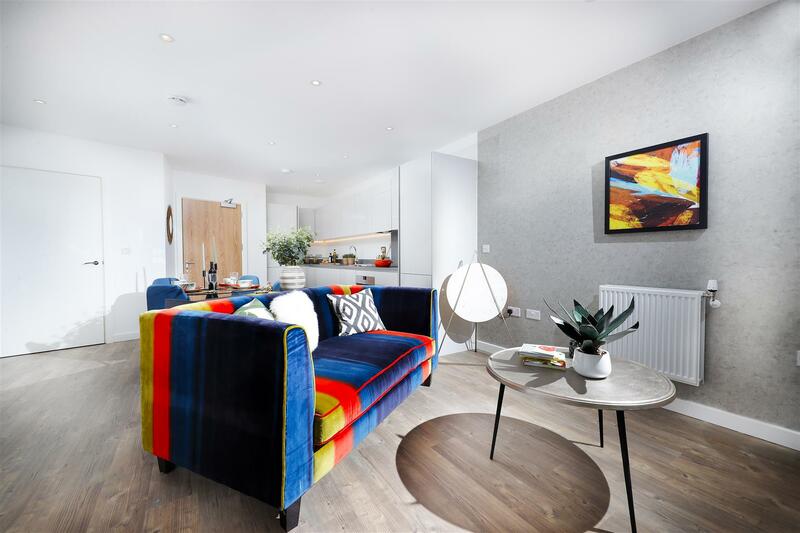 The properties are a short walk from Alperton Station on the Piccadilly Line and Hangar Lane station on the Central Line which both go straight into the Central London. There also excellent road links with the A406 a few minutes’ drive away. Benjamin Stevens recognises and embraces that one of the biggest changes seen in the property market is the growth of technology. With the likes of Rightmove and Zoopla, the role of the High Street Estate Agency has changed and it’s not only where they work, but it’s how they work that is evolving. Managing Director, Steven Wayne says "While I am a firm believer in maintaining personal contact with your clients, there is no denying the power of social media as marketing tool. It’s often hard to measure whether your social media marketing campaigns are successful, but with this particular partnership with Metropolitan Thames Valley, we can see how attention to detail and staying current can be turned into new business". Metropolitan Thames Valley have a number of established sites across London, including Hendon Waterside in Hendon, also in North West London, plus a 1 billion pound development in Clapham, South London. Whether you are a Edgware landlord looking to liquidate your buy to let investment or a homeowner looking to sell your home, finding a buyer and selling your property can take an annoyingly long time. It is a step-by-step process that can take months and months. In fact, one of the worst parts of the house selling process is the not knowing how long you might be stuck at each step. 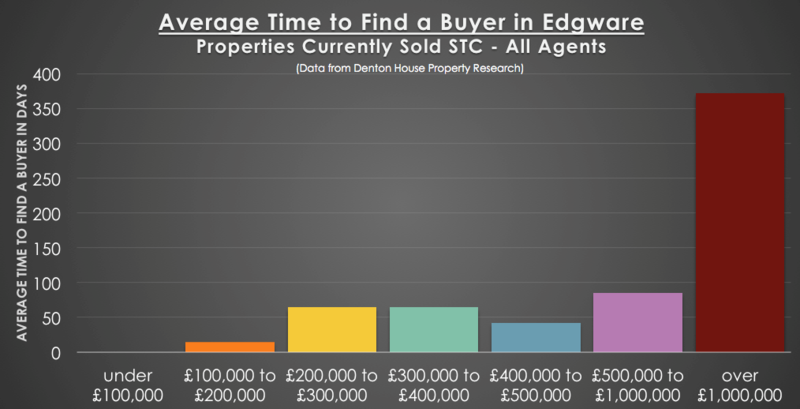 At the moment, looking at every estate agent in Edgware, independent research shows it is taking on average 68 days from the property coming on the market for it to be sold subject to contract. But trust me ... that is just the start of a long journey on the house selling/buying process. The journey is a long one and therefore, in this article, I want to take you through the standard itinerary for each step of the house selling procedure in Edgware. You need to instruct an estate agent (of course we can help you with that) who will talk through a marketing strategy and pricing strategy to enable you to find a buyer that fits your circumstances. 68 days might be the average in Edgware, yet as I have said many times, the Edgware property market is like a fly’s eye, split up into lots of little micro markets. 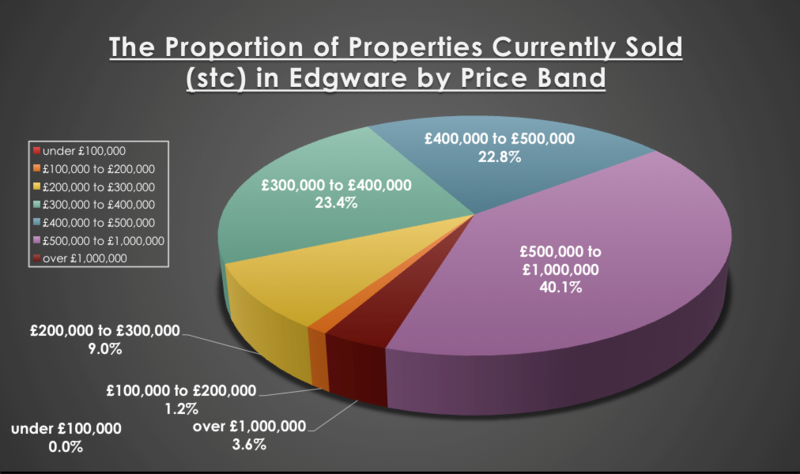 Looking at that independent research, (which only focused on Edgware), it was interesting to see how the different price bands (i.e. different micro markets) are currently performing, when it comes down to the average number of days it takes to find a buyer for a property in Edgware. There are a variety of distinctive issues at play when selling your property in Edgware, together with the involvement of a wide and varied range of professionals who get involved in that process. That means there is are enormous differences in how long it takes from one property to another. Moving forward to the next steps, these are the average lengths of time it takes for each step to give you some idea of what to expect. Assuming all the mortgage, survey and legal work comes back ok, both the buyer and solicitor sign contracts, the solicitors then perform "Exchange of Contracts". When contracts are exchanged, this is the first time both buyer and seller are tied in. Before then, they can walk away ... and you are probably 4 or 5 months down the line from having put up the for sale board – this isn’t a quick process! BUT hold on ... we aren’t there yet! If you are thinking of selling your Edgware home or if you are a Edgware landlord, hoping to sell your buy to let property (with tenants in), either way, if you want a chat to ensure you get a decent price with minimal fuss ... drop me a message or pick up the phone.